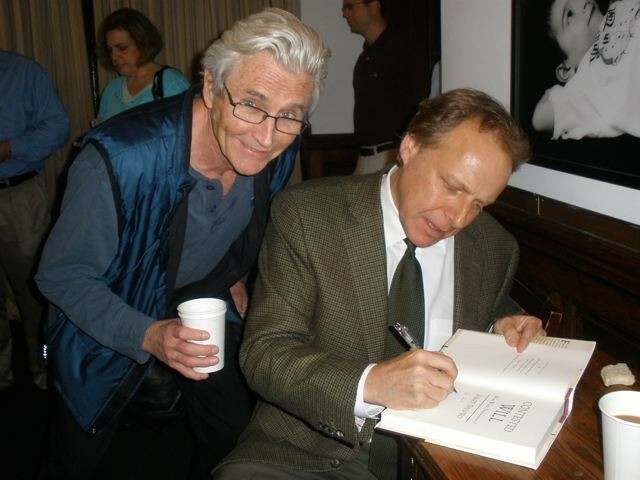 James Shapiro spoke to an audience at the 92nd Street Y in New York City on Sunday, May 2, 2010, about his book Contested Will and his argument that those of us who question the attribution of the “Shakespeare” works to William of Stratford are, well, not quite right in the head. Jim Shapiro is a likeable guy even as he wields the ol’ blade, with a smile, to cut us into pieces — his victims including Henry James, Mark Twain, Orson Wells, Sigmund Freud, Charlie Chaplin, Helen Keller, and dozens of other whackos who believe that a writer writes from his own mind and heart, so that knowing about his life can help us understand the meaning of his work. 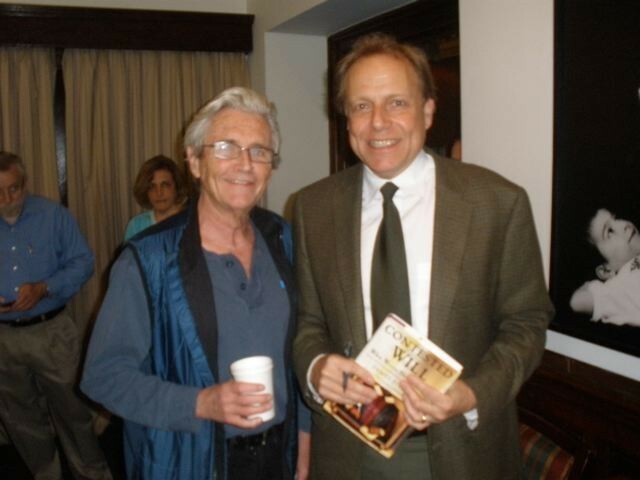 I attended with Ted Story, co-writer and director of my performance in the one-man show Shake-speare’s Treason. I performed it in November 2008 at the Globe in London, where Shapiro was in the audience. At the time he was still researching his book, wherein he gets to the pivotal point of his argument on page 264, by bringing up my book The Monument, which demonstrates that the Sonnets of 1609 contain a real-life personal and political story, linked with real events of contemporary English history leading to the death of Queen Elizabeth I on March 24, 1603 and the succession of James VI of Scotland as King James I of England. Which eyes not yet created shall o’er-read. Try showing up at the Y and telling THAT to the group! But try to keep telling students of this generation, and of those to come, that only the greatest writer of them all cannot be found in his work, and that we don’t need to know the man to understand his writings! Here’s a secret: Oxford poured his life into every corner of it! Oh – on page 269, Shapiro writes, “Those who believe that Elizabethan plays were autobiographical ought to be able to show that contemporaries were on the lookout for confessional allusions.” Well, the family of chief minister Polonius, which includes his daughter Ophelia and her suitor Hamlet, is a mirror image of the family of chief minister William Cecil, Lord Burghley, which includes his daughter Anne Cecil and her husband Edward de Vere, Earl of Oxford, who, by means of confessional allusions in the play ‘Hamlet,’ gave us an intimate portrait of his life within that family and his emotional reactions to it. Shapiro, like Bloom, like Akroyd, do not like a human Shake-speare, but a mythical or miraculous one. He that believes that an old form was transformed suddenly, through a force or internal tendency, into another, for example, provided with wings, would be forced to admit, in opposition to all analogies, that many individuals varied simultaneously. (…) Admit all these is, to my thinking, to get into the regions of miracle and to abandon those of science. (…) But I am well convinced that these general affirmations, without its detailed facts, will produce a weak effect in the reader’s mind. I can only repeat my conviction that I do not speak without having good proofs. My friends laugh about the enormous size of your book, which, to my thinking, is a Bible (i.e. a book contaning many books). While I take it everywhere and underline the most important passages, I tend to be surprised and amazed by the new discoveries done about Edward de Vere’s multiple pseudonims, like Arthur Brooke, Nash, Greene, or, finally, Shake-speare. Or his decoys, like his uncle Arthur Golding for the translation of Ovid’s “Metamorphosis”, Lyly’s “Euphues” or Gascoine’s “Hundred Sundry Flowers”. His works are getting bigger and bigger as time passes by!